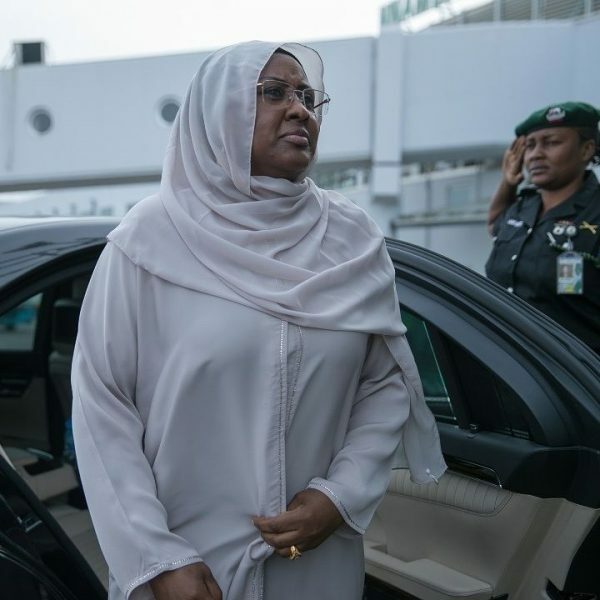 The wife of the President, Mrs Aisha Buhari, on Tuesday departed Nigeria for the United Kingdom to join her husband, President Muhammadu Buhari, who was in London for medical follow-up. Mrs Buhari departed through the Nnamdi Azikiwe International Airport, Abuja on Tuesday morning. Before her departure, the wife of the President thanked Nigerians for their support and prayers for the quick recovery of Buhari. The News Agency of Nigeria [NAN] reports that the President left Nigeria for London on May 7, for medical follow-up on the advice of his doctors.